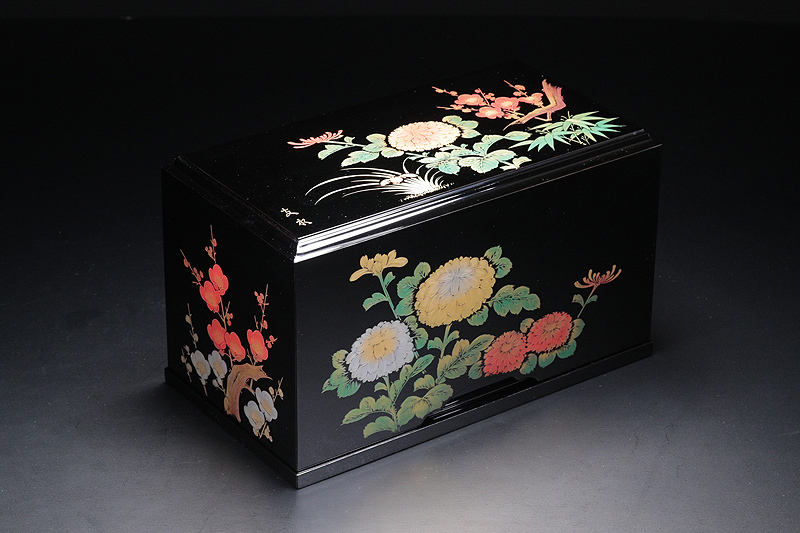 This box is finished its surface with natural Japanese lacquer applied over and over again, and then finally drawn colorful “Shi-Kunshi (four plants)”, using traditional technique called “Chin-Kin”, in which a craftsman shaves the top layer of surface using a plane to make shallow dots or lines and then inlay gold or red or blue powder in etched grooves. 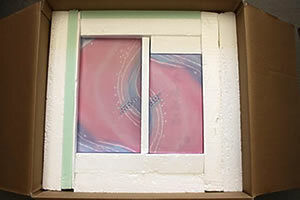 It takes at least one to two months to complete only this process before completing as artistic work by skilled craftsman. “Shi-Kunshi” (Four Kunshi) refers to four classic plants with high virtue, namely orchid, bamboo, plum and chrysanthemum. “Kunshi” refers to the person who are extremely intelligent, well-disciplined, and have accumulated virtue. Therefore, in old China, “Four Kunshi” (four men of virtue) had been praised as the symbol of perfect man over several thousand years. It will be placed up to the size 50 stones.